Praise and Worship Music to Bless God. . .
An offering of psalms, hymns and spiritual songs for the worship edification of the Body of Christ. Praise and Worship Songs to bless God. . .
Special Report: Christianity in Russia - Has Anything Changed? "I might not be a religious man myself but I know good music when I hear it, and this is very good! . . . I dont think that I have ever given such high ratings to so many songs before. But the fact is that they are well deserved because the music is amazing. Simply wonderful religious ballads and they really get to your heart. . .everytime." 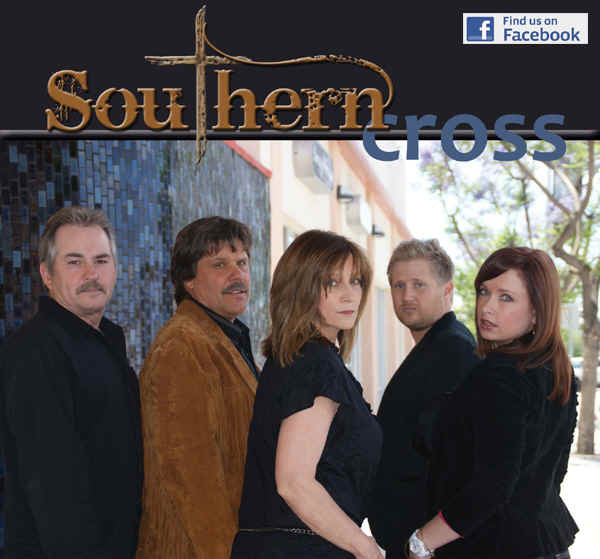 Check out this powerful Southern Cross song! An Incredible revival is occuring in Northern India and Nepal. CLICK HERE to find out more! Click Here to purchase the E-book edition for only 99 cents! . . .a powerful and dynamic "must have" for every Christian who is seeking to worship God in the midst of the tempest of our modern world. are now using Wigtune praise and worship resources. We pray that these materials have provided all of you with untold blessings! The Church Growth Movement is all the rage these days. It seems that everyone wants to be a mega church and the means to attain this end is to become the seeker friendly church. In other words, you fire the choir, organist and music minister in order to elevate a youth oriented contemporary worship team in their place. As a result, while throwing the older generations under the bus in the interest of so-called evangelism, the vast majority of the churchs musicians are relegated to the pews as the Sunday morning service is rapidly transformed into a youth service filled with contemporary Christian music at the expense of age old traditions. The praise and worship band generally has to be guitar-driven in its song leading capacity and led by a good-looking youngster who fits into a particular contemporary image. When you are attempting to impress a world enamoured by youth by conforming to it, its all about looks. And, in the name of being commercial, the worship leader look is a look-alike of whatever contemporary Christians artists are being promoted by the praise and worship music record companies who likewise dictate to the church what their musical formats will be. The unfortunate result of this practice of elevating novices up in this manner is that the youth put in charge is generally over his head and many times falls into sin. Not a novice, lest being lifted up with pride he fall into the condemnation of the devil. (I Tim 3:6) As forwarded by the likes of Hollywood, the rock genre that the church seeks to emulate is a very idolatrous medium where worship is generally directed towards the performer. More often than not, these immature guitar-toting worship leaders are more into the music and the entertainment aspects of rock than worship of the Lord. And because they are hired simply to attract people to the pews, churches tend not to nurture these contemporary praise song team leaders in a manner that cultivates servant-hood, humility and an attitude of worship. The obvious result is that the whole spectacle becomes a rock music concert rather than praise music in the rock genre presented as worship to the Lord. And with rock concerts you get fan adulation and with fan adulation you get trouble. Ultimately the hand-picked star of the show will stumble in those murky waters. This seeker-friendly relate to the world motif extends into the teaching of the Word as well. In seeker-friendly Church Growth settings, the pastor needs to stay away from doctrines that may offend listeners. . .or they might not come back. They hesitate to give altar calls because singling someone out might make that someone uncomfortable. Forget about talking of the consequences of sin. References to hell are out of the question. And the pastor dare not talk about Christianity as it relates to our morally bankrupt society or the IRS may take his non-profit status away. It becomes all about money and the proclamation of Gods Word becomes the ultimate victim. Therefore, the Church Growth congregation feigns from becoming too doctrinal in their worship singing. The emphasis is on happy praise and worship songs that leave everyone feeling good about themselves. Out with the old and in with the new. Throw out any music that was written before the last ten years, which leaves praise hymn singing out of the question. Cut the church off from its past to adopt a pop culture dumbed-down religion devoid of a solid foundation. That is the motto of the Church Growth consultant. Though the entire parody is labeled as praise and worship, it is not worship at all. It is contemporary Christian music entertainment in the name of commercialism and marketing. The idea is to give the congregation a short and orderly pop culture presentation in song followed by a feel good motivational sermon that will please the eyes and ears of a narcissistic society reared by Hollywood and fed with hedonistic pleasures. Its all a musical performance in Church Growth churches. But what kind of self-seeking congregation does this kind of worship music gather together? Is it a group of servants dedicated to carrying the cross for Christ or is it an assembly of fattened calves simply wanting to be fed to the brim according to their selfish desires? Is it all about ministry or American Idol? I would suggest the latter. In the mean time very few people are being saved in Church Growth congregations. Instead, Church Growth-inspired compromises have encouraged Christians to church hop to the latest and greatest. Whoever has the newest and nicest buildings, best worship, hottest band and most creative stage setup and multimedia will win the day. The Church Growth consultants claim that their extravagant unbiblical devices are for the purpose of saving souls, when in fact its all about filling pews with members of neighboring churches and accumulating large offerings. Wealth is the central goal. The growth that provides this wealth is the result of pilfering congregants from the church around the corner. And it will be only a matter of time when the Church Growth congregations buildings and equipment get old and outdated. Theyve gotten themselves too far into dept by this time to update. Finally bored with the same old thing the church hoppers who have been stolen from other churches will run to the next big thing. And they will take their money with them to support their newly-adopted temporary church abode that has mortgaged their future in order to get ahead of the Church Growth game. No matter where you look, everyone who submits to the dogma of Church Growth crowd loses. These are the words of the Amen, the faithful and true witness, the ruler of Gods creation. I know your deeds, that you are neither cold nor hot. I wish you were either one or the other! So, because you are lukewarmneither hot nor coldI am about to spit you out of my mouth. You say, I am rich; I have acquired wealth and do not need a thing. But you do not realize that you are wretched, pitiful, poor, blind and naked. I counsel you to buy from me gold refined in the fire, so you can become rich; and white clothes to wear, so you can cover your shameful nakedness; and salve to put on your eyes, so you can see. There is a better way . . .
Jesus is assuring us that worship is not something that is done at a particular time and in a particular place. Worship is not defined as a contemporary praise music singing event. . .though singing to the Lord in song is a worshipful activity. According to the Bible worship is something that we do with our whole life. Hence Paul declared to the Romans: Therefore, I urge you, brothers, in view of God's mercy, to offer your bodies as living sacrifices, holy and pleasing to God--this is your spiritual act of worship. (Rom 12:1) Worship is a lifestyle that involves sacrifice. Worship is not a feeling that we get when we sing praise and worship music. Worship in song is not a means of conjuring up the God who is always present. God is omnipresent and His Holy Sprit lives inside us. Where can I go from your Spirit? Where can I flee from your presence? (Psalm 139:7) (I Cor 6:19) So how is it that so many Christians believe that worship is about ushering in the presence of God? How is it that people believe that praise and worship music is all about bringing down the Holy Spirit when David proclaimed in the Psalms that there is nowhere we can go to escape Gods Spirit and Paul assured us that His Spirit lives inside us? Christianity is not relegated to being simply a vertical religion. Thats what dualistic pagan religious systems such as Hinduism are all about. They think that the world is inherently evil and hence the emphasis of their worship is to escape the world  to transcend to Nirvana. But it is not so with Christianity. Rather, Christian worship is about Christians interacting in a positive manner in a world that God declared is good (Gen 1) in service to Him for the sake of the salvation of souls. Therefore, when one studies the Psalms one finds that praise is about declaring God for who He is and what hes done to a world that is lost in sin. Praise is an activity that as Christians we are called upon to do all the time. And the purpose of praise is for its proclamation out in the world as a testimony of the goodness of God. Consider how the Philippian jailer was saved as the result of the prayer and praise hymns that were uttered by Paul in Silas when they were confined in prison. (Acts 16: 16-38) How else, other than through the mouths of believers, will unbelievers hear the praises of God and be converted? The next thing that should be noted from Pauls writings to the Ephesians is that we should be praising God with all forms of praise and worship music in song. That would include hymn singing along with modern music forms. How unbiblical it is that Church Growth pastors are forsaking their rich heritage in praise hymn singing for the sake of commercial contemporary Christian music marketing. How can God bless that? Lastly, Paul notes that there is a horizontal aspect to praise and worship singing in the church. We are to speak to one another in our singing. Therefore worship music in the church is about service. It is about blessing God and ministering to others in song. And it is not a self-seeking hedonistic exercise based on self-fulfillment that the Church Growth crowd caters to. The early Christian martyrs were led to the Roman Coliseum for the sake of their testimony of Christ to die in the mouths of lions and at the edge of the sword. These noble Christians did so because they refused to bow down and worship the genus of the Emperor of Rome. Rather, they chose to worship the living God who died for them. Thus, as recorded in Foxes Book of Martyrs, they would be seen lifting their hands to God in praise and worship songs to Him before the entire populace of Rome as a testimony to an unbelieving cruel world. The vibrancy of Christian worshippers such as these powerful believers ultimately turned an entire empire upside down. It leaves narcissistic contemporary worship forms pretty pale in comparison. The Church Growth church is all about the hedonistic cult of I need, I need. And pushing ones way to the top of the heap is the ultimate goal of this unbiblical system. But according to Jesus it is the servant of all who stands out from the rest in Gods eye. It is the worshipper who has given his or her life to God for the glory of His name who will receive the well done good and faithful servant in eternity. (Matt 25: 14-28) And those who live a life of service in worship will be those who truly come to praise the Lord in song at church as an extension of their praise and worship life in everything they do. And a church that is filled with praise ushering from the hearts of worshippers such as these will be a church that grows as God intended the church to grow. And the salvation of many souls in a healthy and vibrant church will be the result. It is not by mans greatness, wisdom or power that the true work of God is accomplished. Gods kingdom is not built upon novel manipulative ideas that come from the minds of brilliant men. Rather God works through lifestyle worshippers who have come to realize that they are nothing without Him. He uses those who will humble themselves before God and pray. With God living inside, true worshippers who have learned to bow before God in earnest prayer and supplication will be the ones He will use to change the world. 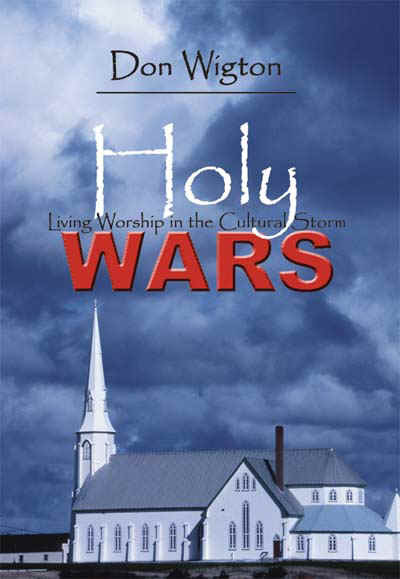 If you liked this CLICK HERE or call Author House @ 888.280.7715 to purchase a soft or hard cover copy of Don Wigton's book "Holy Wars" upon which this blog is based. While youre at it be sure to look discover how the power of prayer ignited a tremendous revival at the Brookland Tabernacle in the book Fresh Wind Fresh Fire: What Happens When Gods Spirit Invades the Heart of His People. was formed as a service to the body of Christ to encourage scriptural worship. To accomplish this goal Wigtune Company offers free contemporary praise music and hymn mp3 and chart material along with a free on-line worship study book for personal devotions, Bible study groups, Sunday schools, pastors, music ministers and ministry training. In order to bridge the gap between the old and the new the worship study book gives solid theological and historical support to the use of traditional Christian hymn-singing in conjunction with praise chorus singing. Click on one of the links below to enter into the area of the Wigtune site that interests you ! Contact Us Spread the Word! Copyright � 1999 Don Wigton. All rights reserved.